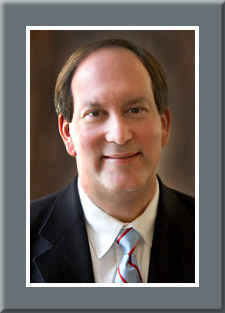 Nov. 28, 2018 — The 2018 election cycle ended in Mississippi last night as appointed Sen. Cindy Hyde-Smith (R), overcoming several campaign gaffes and misstatements, defeated former US Agriculture Secretary and ex-Mississippi congressman, Mike Espy (D), by a 54-46 percent margin from a robust turnout of what will exceed 880,000 voters. In comparison, back on Nov. 6, Sen. Roger Wicker (R) was re-elected from a turnout of just over 936,000 individuals. Wicker’s vote total of 547,540 is roughly 73,000 tallies more than Hyde-Smith’s 474,471 unofficial total, but she outpaced Espy by more than 69,000 votes. In what was predicted to be a relatively small special election turnout, the actual participation number, and a figure that will likely grow once remaining provisional and absentee ballots are fully counted, rather surprisingly exceeds 93 percent of the number participating in the general election just past. 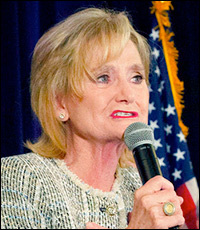 Sen. Hyde-Smith carried 51 of the state’s 82 counties. Aside from the Columbus area in eastern Mississippi, Hyde-Smith swept most of the northern counties, ran very strong in the northeast counties, particularly in and around the city of Tupelo, as well as taking 14 counties from the southeastern group, including the six that directly border the Gulf of Mexico. Espy virtually swept the western counties, those that largely comprise the 2nd Congressional District. This is the seat that he initially won in 1986, and which Rep. Bennie Thompson (D-Bolton) currently holds. In comparison to Sen. Wicker’s performance three weeks ago, Hyde-Smith failed to carry just eight counties where the state’s senior senator proved victorious. Overall, considering the controversy that arose in the run-off campaign her performance, while well short of Wicker’s, was still respectable. While proving to be a credible candidate, Espy failed to generate enough support to even come near upset range, however. The Hyde-Smith victory gives the Republicans a 53-47 majority in the new Senate, a net gain of two seats when compared to the current Congress. This margin, considering the Republicans lost two of their own seats on Nov. 6 in Nevada and Arizona, notwithstanding the majority-shattering performance in the House, is a favorable GOP result and made possible with conversion victories over Democratic incumbents in Florida, Indiana, Missouri, and North Dakota, while holding GOP open seats in Tennessee, Utah, and now Mississippi. Hyde-Smith placed first in the original special jungle primary, edging Espy by just 8,400 votes, 41.6 percent to 41.0 percent. State Sen. Chris McDaniel, who ran as a Republican, captured 16.5 percent, and then after the Nov. 6 results came in, quickly endorsed Sen. Hyde-Smith. She improved upon her first performance by just over 103,000 votes, while Espy gained a little over 45,000 votes. The newly-elected Senator will now finish the balance of the current term that Sen. Thad Cochran (R) was elected to in 2014, only to resign from in March for health reasons. It is presumed that Ms. Hyde-Smith will seek a full six-year term in the 2020 election.